Pops with hot air, not oil, for a healthy, low-fat treat. 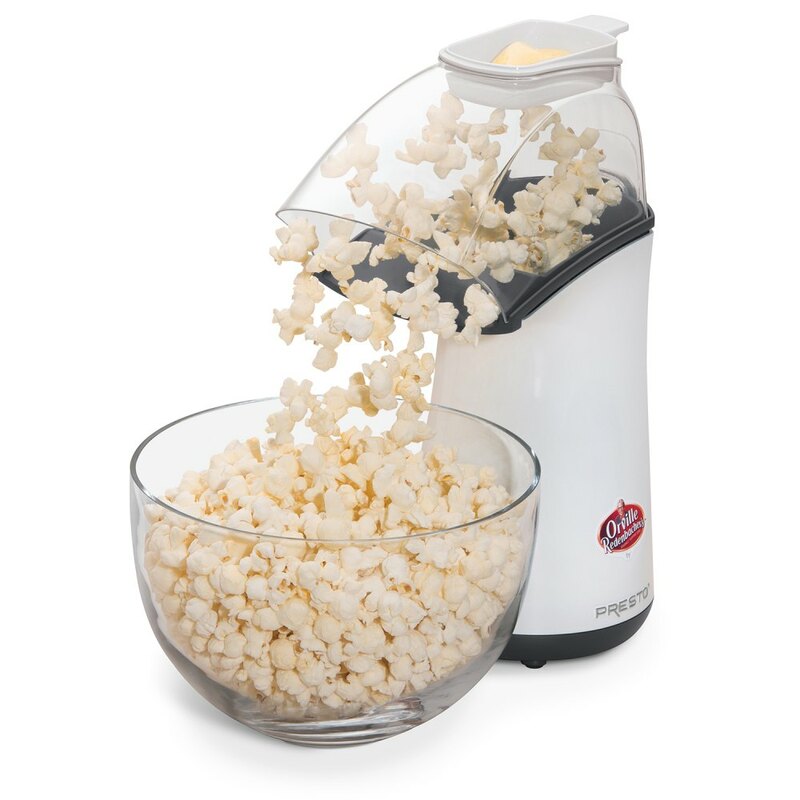 Pops up to 18 cups of gourmet popcorn in less than 2 1/2 minutes with virtually no unpopped kernels. Butter melter doubles as a handy measuring cup. Chute directs popcorn right into your bowl. Hot air popcorn is all natural with no artificial flavors or added salt. Zero grams of saturated fat per serving. Base and cover simply wipe clean. 120 volts AC, 1475 watts. Orville Redenbacher's® and Gourmet® are registered trademarks of ConAgra Foods RDM, Inc., used under license. Chute directs popped corn right into your bowl. Built-in cord wrap for convenient storage.